“Big business” style marketing could kill your small business. Our guest, Allan Dib, walks us through some strategies that actually work for small and medium-sized businesses. Welcome to episode 239 of the Entrepreneurship Elevated Podcast! Allan Dib has started and grown multiple businesses in various industries including IT, telecommunications and marketing. One of his previous startups was in the telecommunications industry, where he faced heated competition from multibillion-dollar, multinational competitors. In four years, Allan grew this business from a startup to being named by Business Review Weekly (BRW) as one of Australia’s fastest-growing companies in the country—earning a spot on the coveted BRW Fast 100 list. Allan has made it his life’s work to provide clear and simple frameworks for marketing success. He’s passionate about helping businesses find new and innovative ways to leverage technology and marketing to facilitate rapid business growth. Through his lively and engaging discussions, Allan demonstrates exactly how to take a business from just getting by to exponential growth. Allan is also the bestselling author of The 1-Page Marketing Plan: Get New Customers, Make More Money And Stand Out From The Crowd. An international #1 bestseller, his book has been named as one of the top 10 best marketing books by The Huffington Post and has received critical acclaim in Medium, Inc., as well as in numerous business-focused podcasts, publications and conferences. 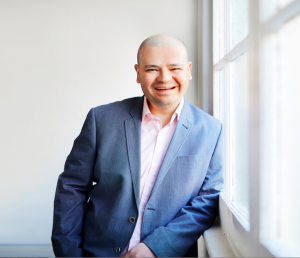 Allan shares his proven strategies and cutting-edge tactics with people all over the world as a highly sought after business coach, consultant and public speaker. Abby Connect – So many valuable opportunities are lost when potential clients reach out and get voicemail or an automated system. Abby Connect provides you with world-class Las Vegas-based receptionists trained to take your calls at a fraction of the cost of in-house staff. Hear the difference Abby Connect can make; get a no-obligation free trial and $95 off your first bill at abbyconnect.com/elevate or call 833 – ABBYWOW and mention Entrepreneurship Elevated Podcast.